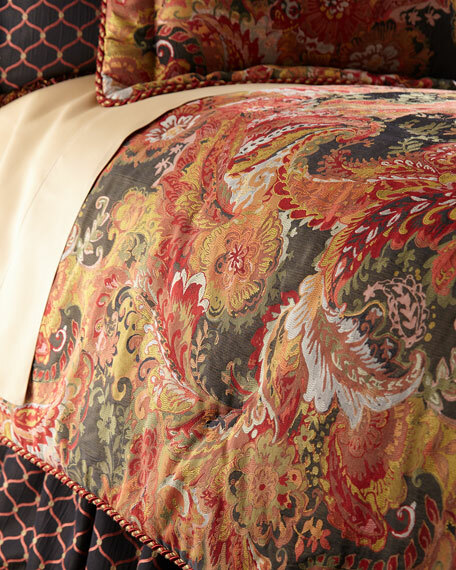 Sham with 2" contrast flange. 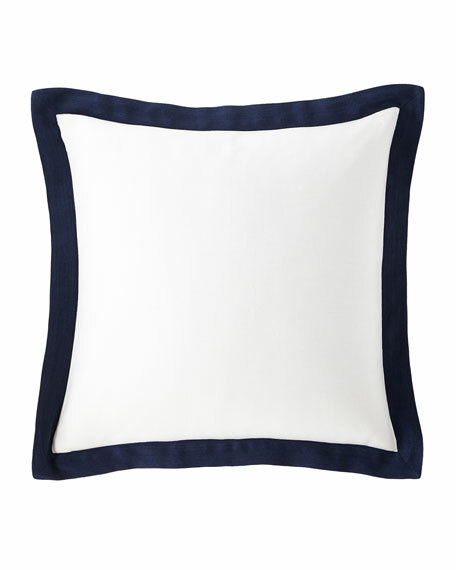 Lauren Ralph Lauren Flora Waffle Weave Decorative Pillow, 20"Sq. 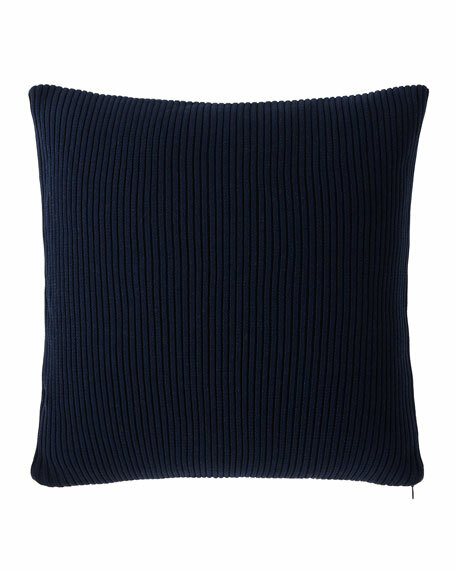 In an airy mix of cotton and linen, an intricate waffle weave dials up the cozy texture of this Portuguese-made throw pillow. 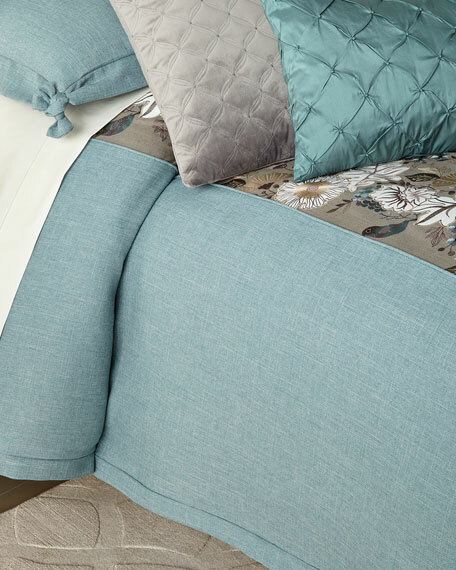 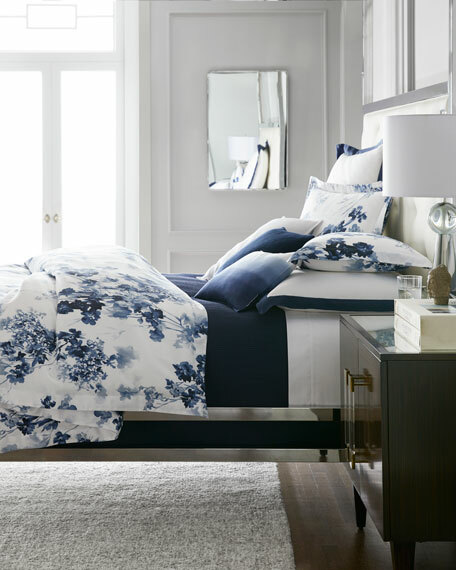 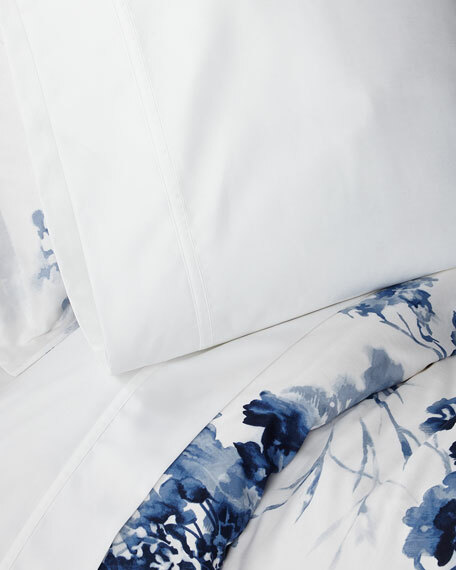 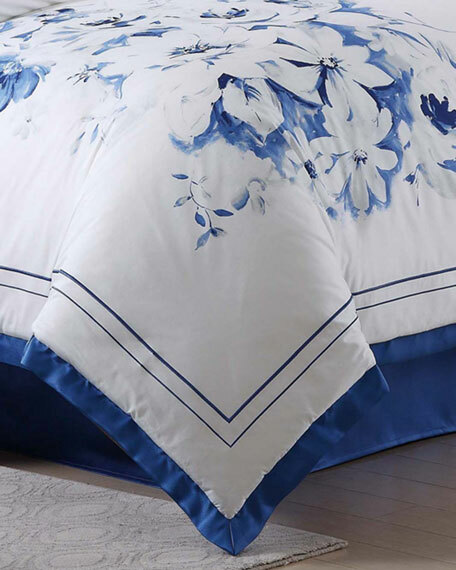 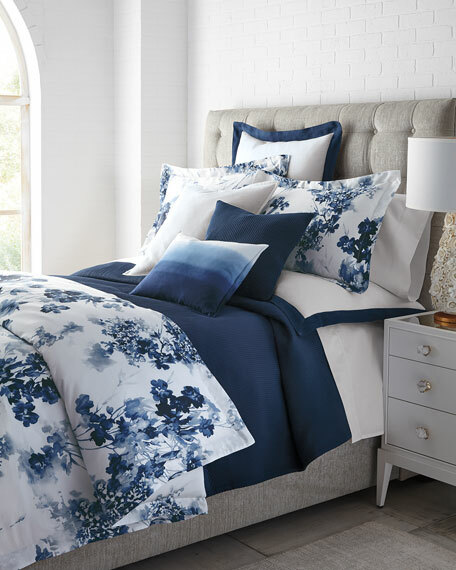 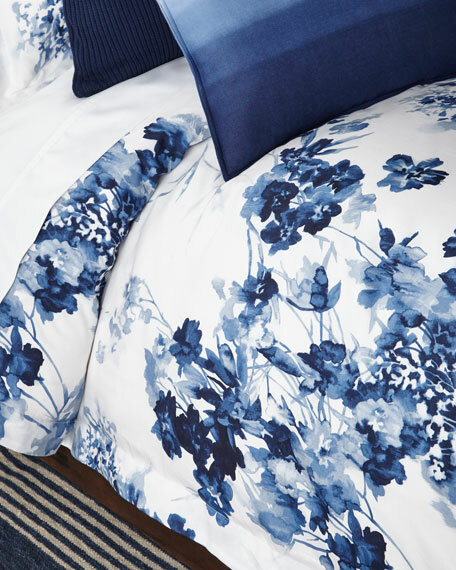 Complement it with the Flora bedding collection's crisp navy and white palette or mix it with other patterns. 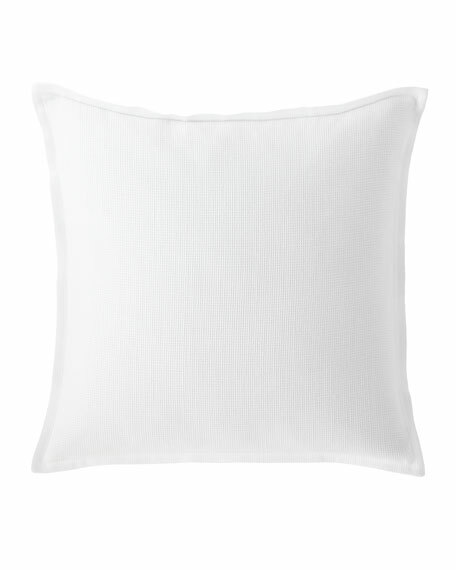 Pillow with 0.5" tailored flange. 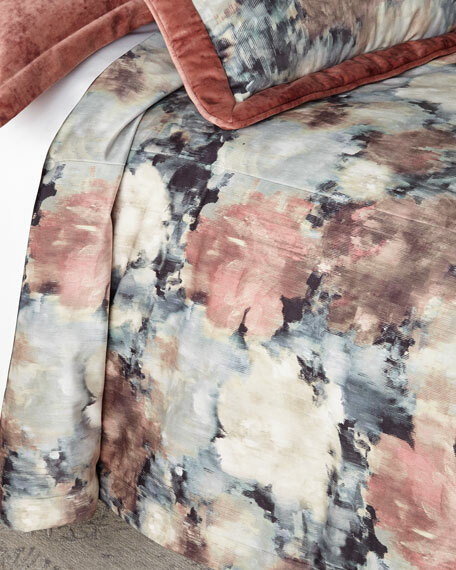 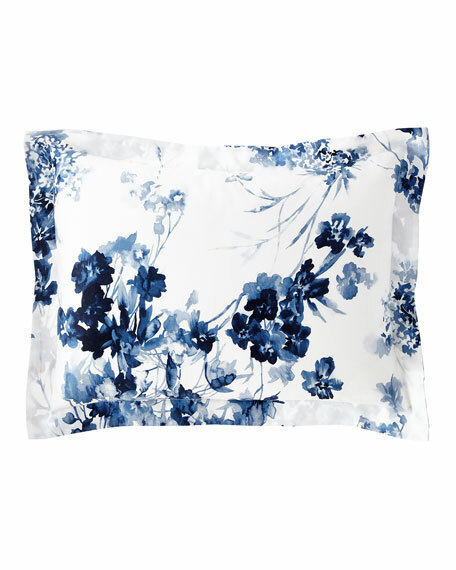 Lauren Ralph Lauren Flora Dip-Dye Decorative Pillow, 15" x 20"
Bring a serene sensibility and an artistic wash of color to your bedroom or living room with this dip-dyed cotton pillow from our Flora collection. 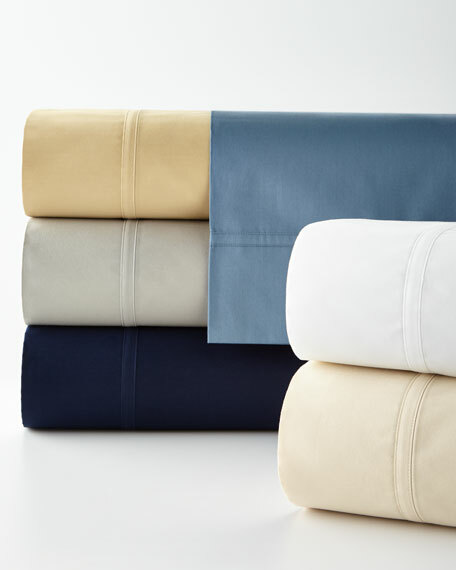 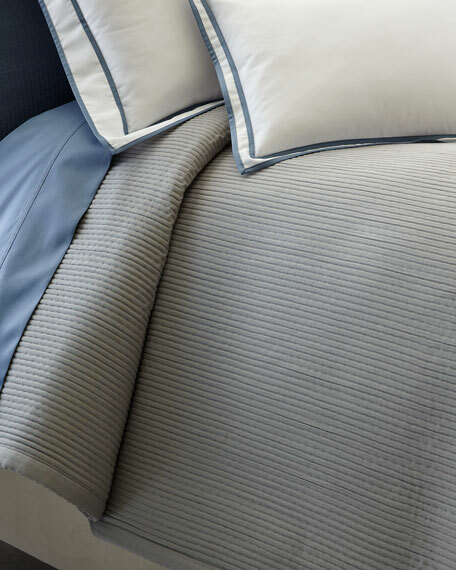 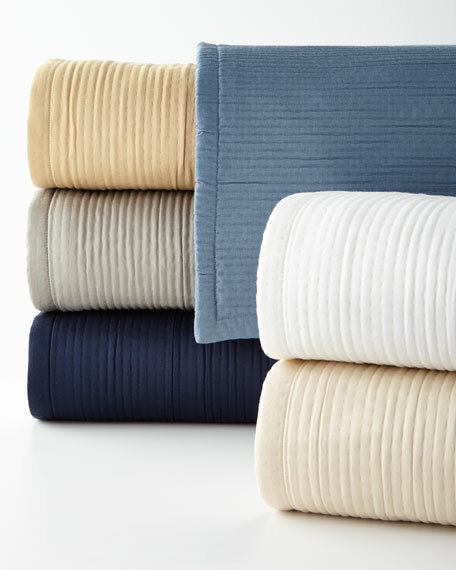 Cotton sateen pillowcase with pleating detail.